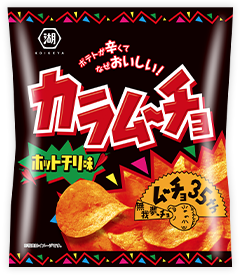 Original hot chili potato chips since 1984. 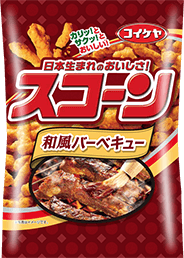 Its taste has not only "Hot" but also mixed delicious meat and vegetable flavor. 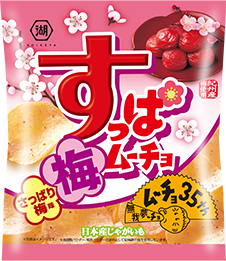 Tasty potato chips with good balance of sweetness and sourness serving new vigor and relaxation to ones who have it, popular among women. Made from only domestic grown potato. 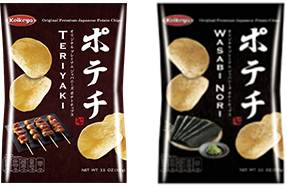 We keep "good taste" and "good quality" of our products since the foundation of Koike-ya, and had launched "Nori-shio" as familiar taste with Japanese people in 1962. 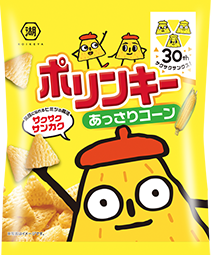 Japanese-born corn snack with crunchy and crisp texture, This rich taste attracts many people. 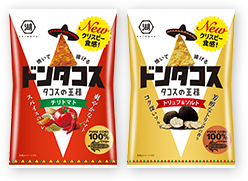 Authentic Mexican snack with rich corn flavor made from whole grain. Everyone can enjoy the taste that suit Japanese people. "Polinky" has mesh pattern and triangular shape, having crisp texture and mildly sweet corn taste. 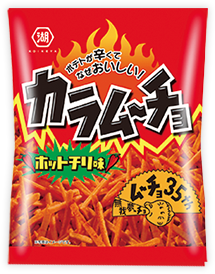 Based on the most popular “Karamucho Hot Chili”, “Karamucho” in Taiwan has local flavors such as very spicy hot chili and prawn black pepper. 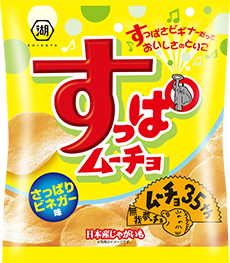 “Suppamucho” has also original taste and “Potenowa” is available only in Taiwan market. 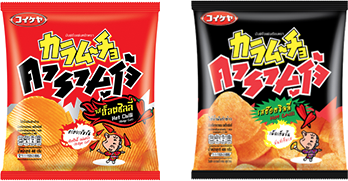 In addition to Koikeya’s main brand of “Karamucho”, “Demae Iccho” chips and “Cup Noodles”chips have been sold as original products of Nissin Koike-ya Foods(China & HK)Co., Ltd.
“Karamucho” in Thailand is much more spicy than that in Japan. 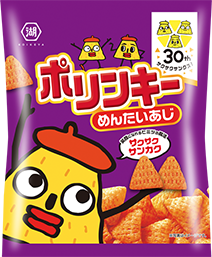 These products have been very popular with Thai consumers, who are used to spicy snacks. “Karamucho” in Vietnam has two types of snacks, potato chips and corn crunch sticks. 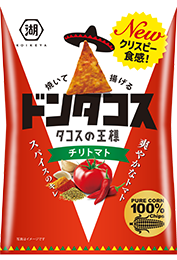 It is a special blend of hot, spicy, sour and sweet. 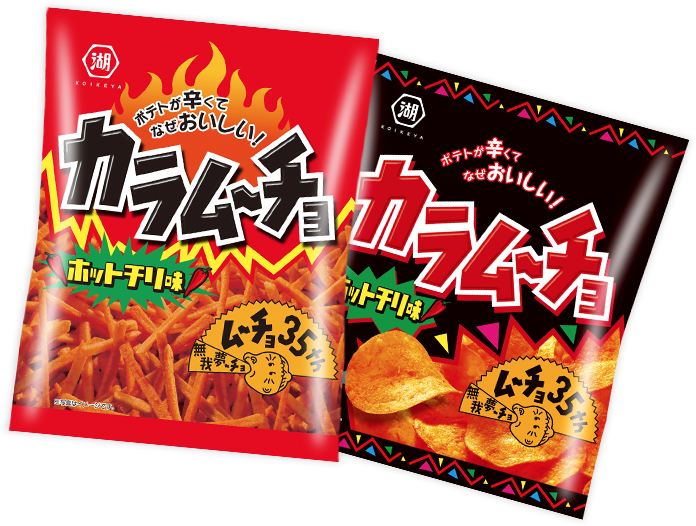 “Karamucho” is a spicy and tasty potato chip with chili powder and other various spices. 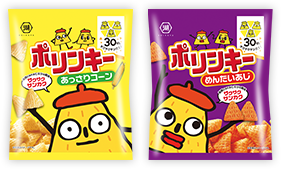 It’s the authentic Japanese potato chips brand. 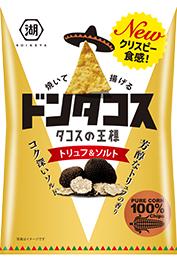 “Potechi” is original premium potato chip seasoned with authentic and traditional Japanese flavor. 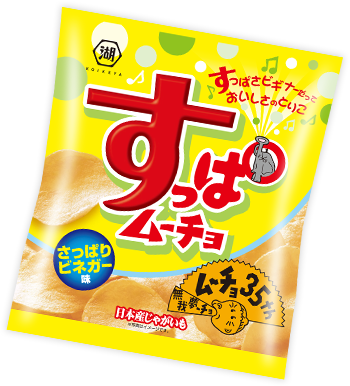 KOIKE-YA, Japanese snack food manufacturer, produces and sells snacks and health foods. Now we challenge developing new material, new package and new market that can innovate current food culture. Tasty and spicy stick potato snack with the exquisite combination of meat, vegetable and chili flavor. Tasty and spicy potato snack with the exquisite combination of meat, vegetable and chili flavor. Good balance of sourness and salt, you cannot stop enjoying it. Sour taste and flavor of Japanese plum come out with each bite. 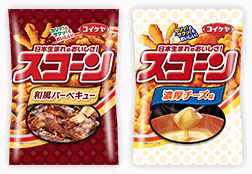 Made with only domestic potato in Japan. Corn crunch with rich BBQ and juicy taste. 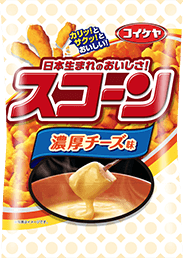 Corn crunch with rich cheese taste. 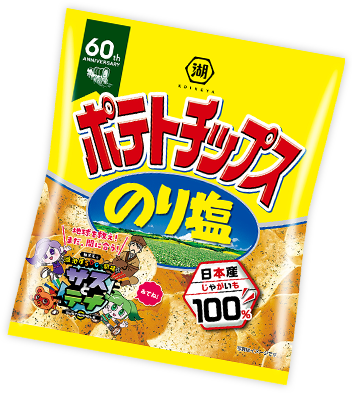 Crisp corn snack to enjoy the taste of natural corn. 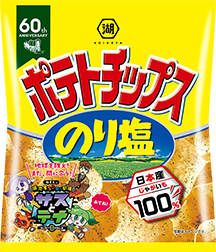 Crisp corn snack to enjoy the taste of natural corn with cod roe.